I was looking for a preprandial cocktail when I came across the Tulip in Harry Craddock’s The Savoy Cocktail Book. It looked like a interesting combination of a few oddball things I had. Being straight out of a vintage cocktail book (ca. 1930), I figured it might need a bit of tweaking for a modern palate. I wasn’t wrong, though my experimental results were a bit surprising. 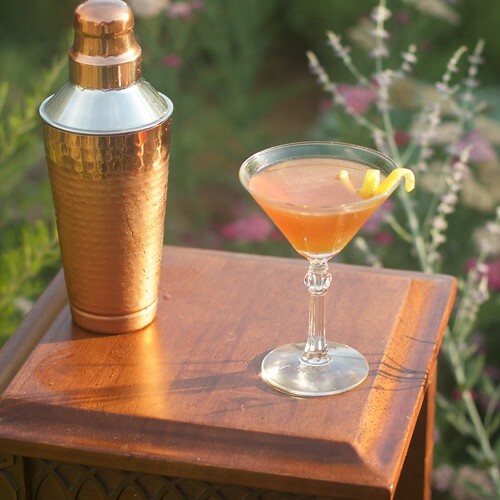 The original recipe is 2 parts each calvados (apple brandy) and sweet vermouth and 1 part each lemon juice and apricot “brandy”. It was pretty sweet and kind of lackluster. I tied to solve this by replacing the 2 parts calvados with 3 parts of the harsher applejack. I also added a few dashes of Fee Brothers peach bitters. It definitely solved the sweet issue, but completely lost the apricot flavor, which is the point of the drink. Turns out the solution is to simply add three dashes of peach bitters to the original recipe. On another note, there are two very different styles of apricot brandy, a European style eau de vie distilled from fermented apricots and a brandy-based apricot flavored liqueur. 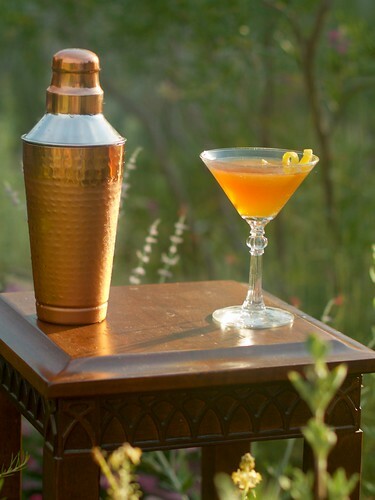 Generally, cocktails that call for apricot brandy are referring to the latter. Thanks. There are all kinds of strange bitters (and I, even more strangely, have a great many of them). I thought the peach and apricot kind of worked together.